Strawberries And Sweet Cherries With Chocolate Topping On A Rotating Plate. 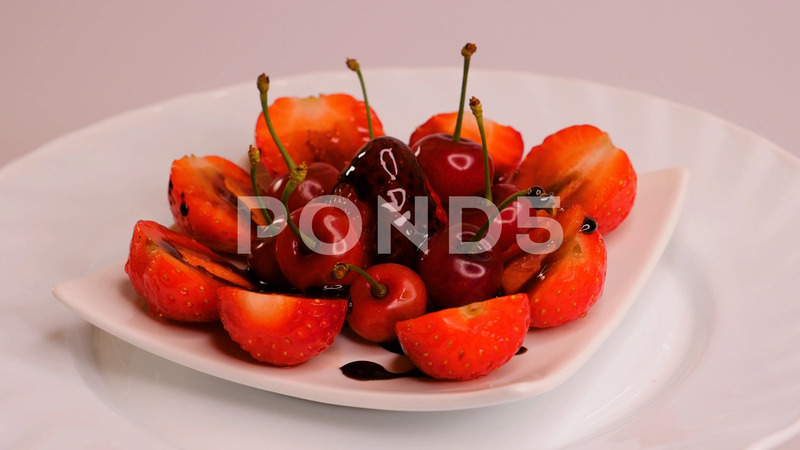 Description: Strawberries and red ripe sweet cherries with chocolate topping on a rotating plate. Close up.